Whether you are a board member, physician leader, or executive leader, our Joint Accreditation and ACHE-certified E-Learning courses have you covered. Comprehensive learning and retention are reinforced through dilemma-based modules that apply your learning to real-world situations. Our courses will enhance your knowledge within your important role and ensure that you understand your key duties and responsibilities, and how to apply good judgement in a variety of real-world scenarios and key topic areas. 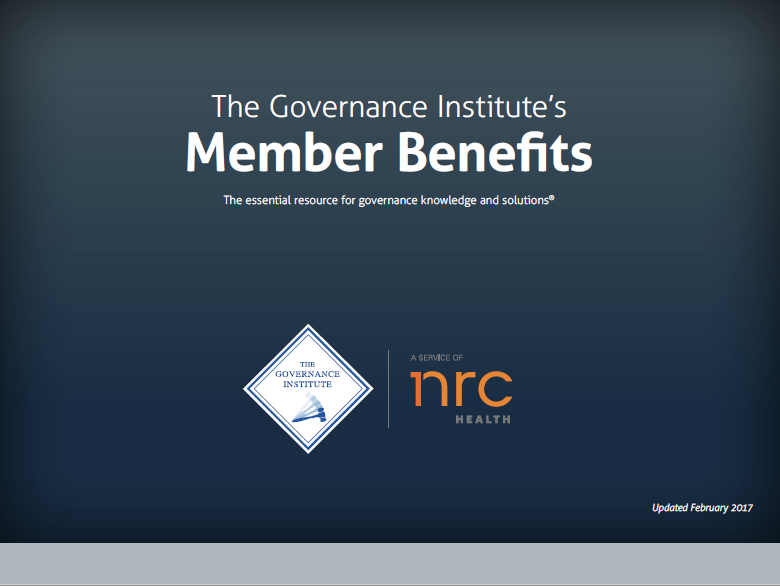 Watch this video presentation of how The Governance Institute courses work. For more information on these accredited E-Learning courses and The Governance Institute membership, contact us.